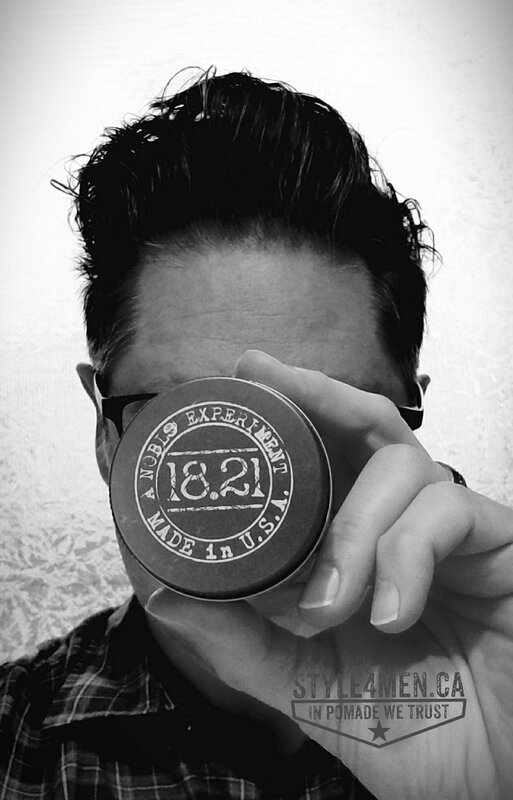 This morning I am thrilled to be trying out a pomade that has been on my wishlist for almost a year now: the pomade from 18.21 Man Made. The “1821” branding is perfect and does an excellent job of conveying that 1800’s feeling. 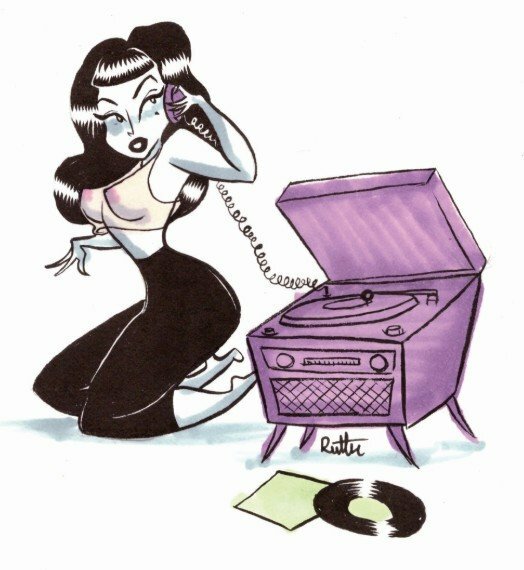 A simpler time! 18.21 is an American enterprise taking root in Texas. Further on the packaging, this is a proper glass jar with a metal lid. These materials give the product a nice weight and are also 100% recyclable. But since the jar is so nice looking you may prefer to reuse it than to recycle it. 😊 Being a visual beast, the presentation of a product plays a big part in my desire to try a given product. 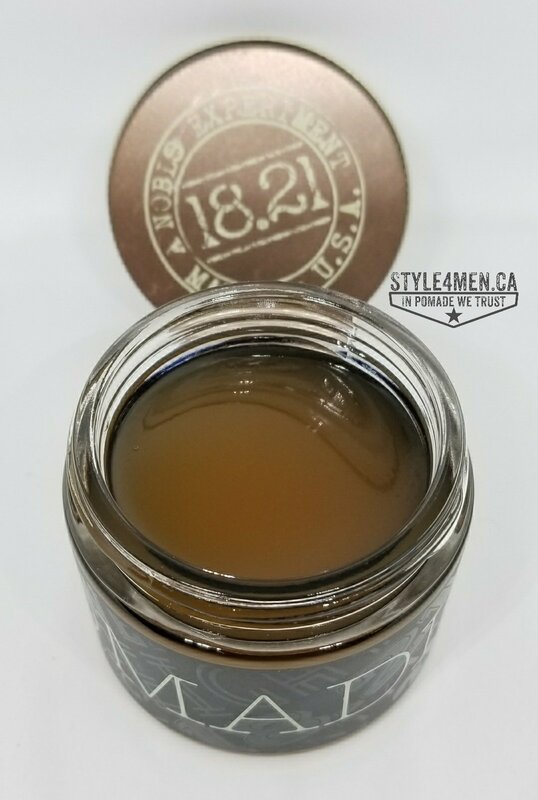 This is a scented pomade…and what a nice scent it is! The folks at 18.21 have nailed this one as well. The main aromas to my nose are: vanilla and tobacco. Where tobacco is the dominating fragrance. It is important to note here that tobacco has nothing to do with the smell of cigarettes. Think more along the line of cigar of pipe tobacco. Perhaps you may have been in a humidor at some point in your life? It is in many respect a lost or maybe even forgotten scent. Being an older guy, I remember the days when everyone smoked something: cigarettes, cigars or the pipe. 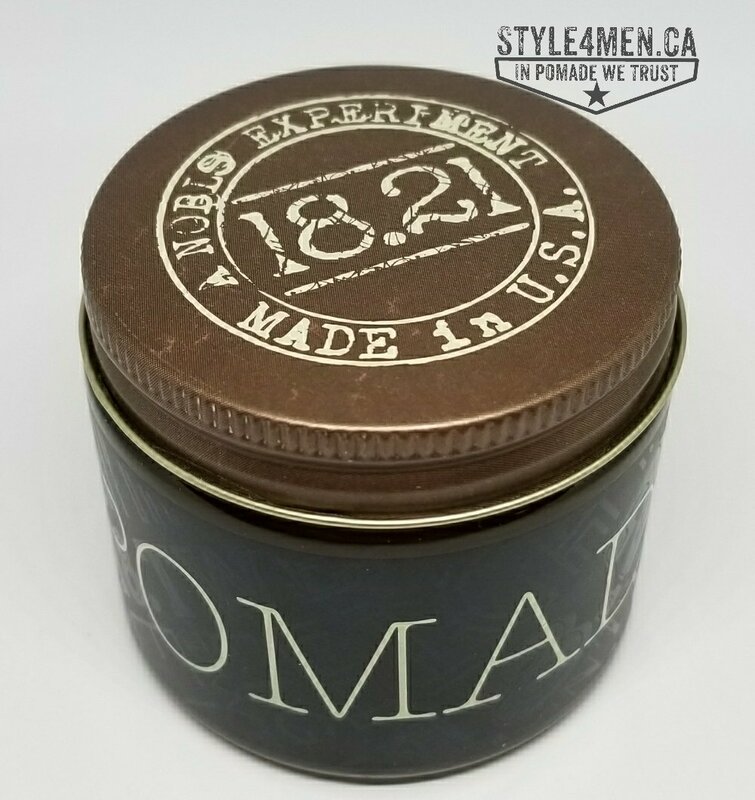 Considering the “18.21” brand name, such a scent is totally appropriate! I should also indicate that my asthmatic wife, Mrs. Style4men had no reactions or aversions to this scent. In fact, I got something of the opposite, she liked it. Now for the main feature of the show; the hold! Having rebellious hair, finding a hair fixative that allows me to shape my hair into something has always been a challenge. 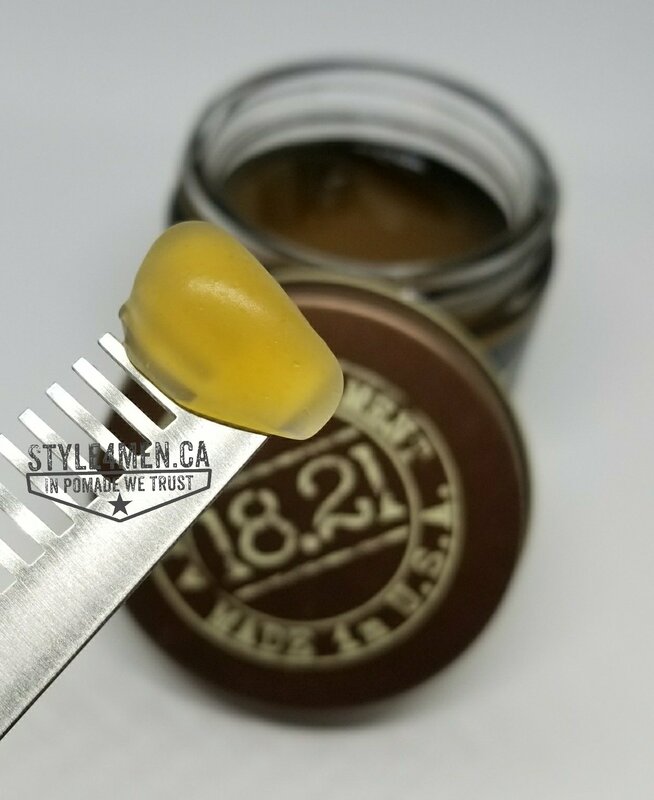 Being exposed to Pomades was a game changer. 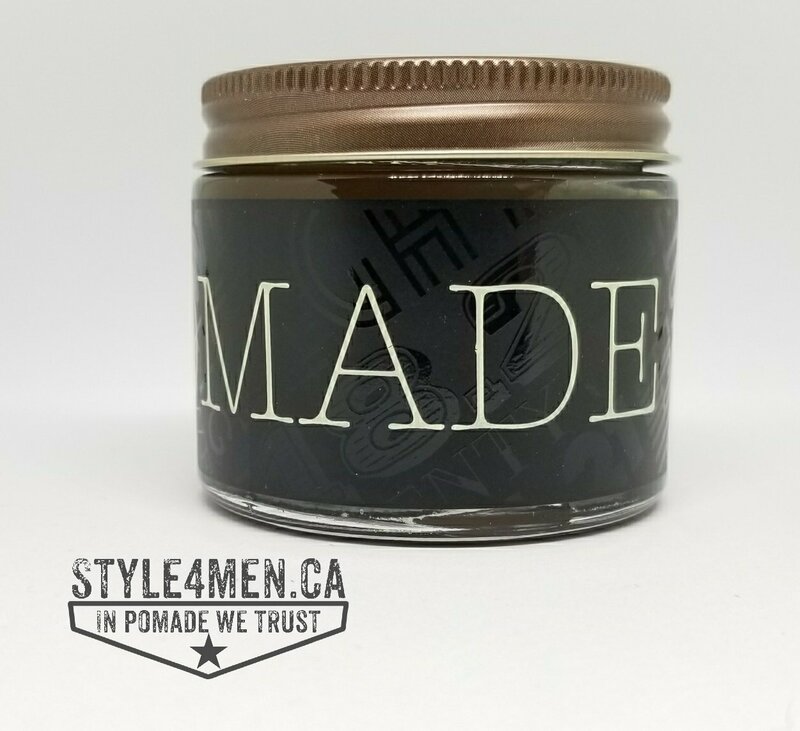 But not all pomades are created equal and not every product labelled as being pomade is in fact pomade. 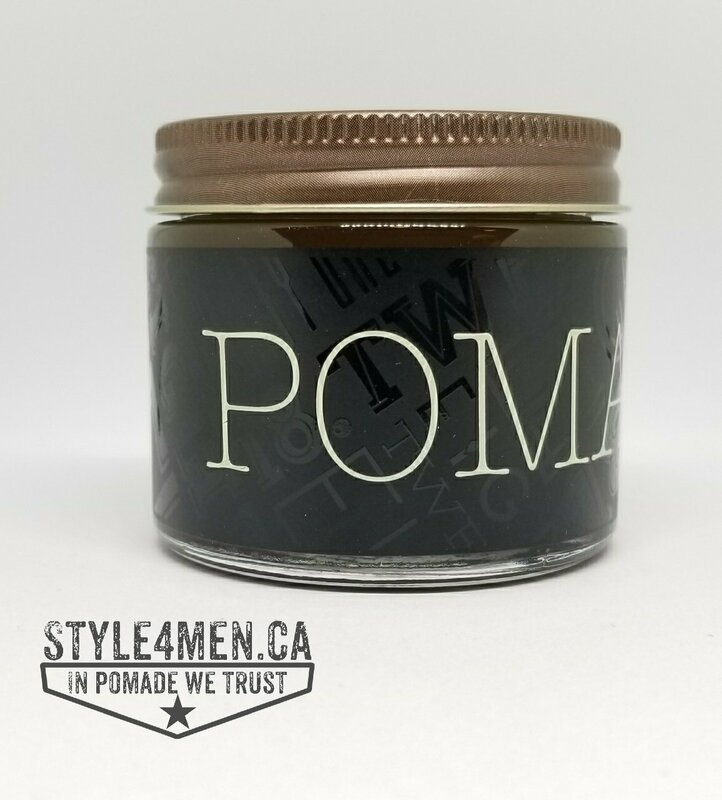 Many fibres or creams are being called pomades, because that is the product type and name guys are looking for. 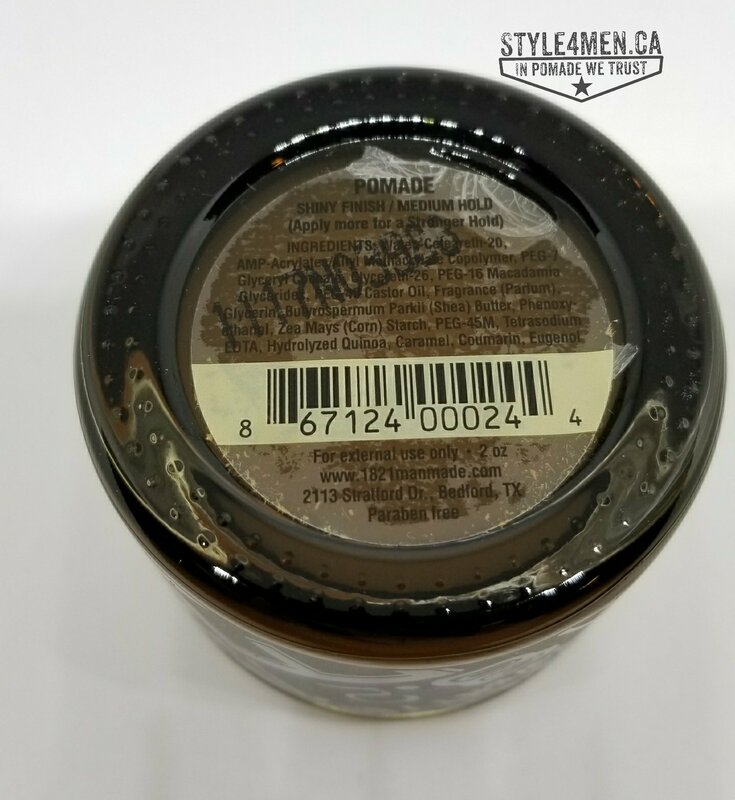 Upon opening the this jar I was pleased to find the typical jelly-like substance of water based pomade. The colour is somewhat of a copper. It scoops out easilly and is equally easy to relax in the hands. In fact, for a brief moment I feared that it might turn out to be too soft of a product. This concern quickly dissipated when I started blending the product in my mop. This is a real and serious product! The grip is strong but totally workable. I was able to style my hair in a nice pomp which hasn’t given up by lunch time. It’s looking like an all day participant which is what I am looking for. As much as I like hair products, I am not one for constant re-styling. I used about the size of a dime and this was sufficient. To summarize this experience, it is very apparent that allot of effort went into the making of this product. From its beautiful packaging, superb scent to it’s excellent results. You can tell, this was not a dispatched job and the guys behind the brand took great pride in making this. Plainly put, it’s a 5 stars pomade and I might have to revisit my 2018 top 5. Please use these links to shop for 18.21 Man Made products.